Atletico Madrid head coach Diego Simeone is unconcerned about injury and team-news leaks harming his side. Athletic Bilbao visit the Wanda Metropolitano in LaLiga on Saturday, with Atleti fourth in LaLiga - four points shy of Barcelona but bolstered by a 2-0 revenge win over Borussia Dortmund in the Champions League. 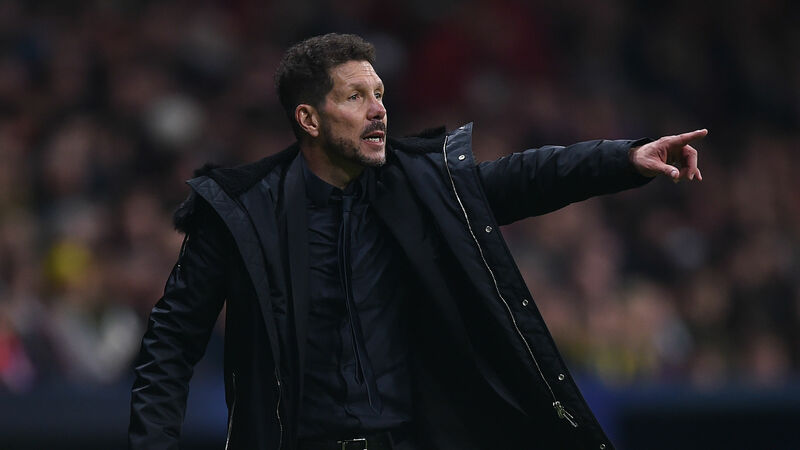 The initial encounter at Signal Iduna Park brought a 4-0 defeat for Simeone's usually miserly side, who have been undermined by frequent fitness concerns this term. Defenders Lucas Hernandez and Jose Maria Gimenez were the latest players to be sidelined by muscular problems this week. Reports, since rejected, in Spain claimed Gimenez's hamstring complaints are of a chronic nature that will continue to hinder him throughout his career. "You guys are journalists, and you know the information can be true or false and you will never know if it's true or false because you are not there to see it," Simeone said when addressing the issue at his pre-match news conference. "If you were then [the reports] would be written facts. We respect every opinion and, though in every big team there are injuries, we work to keep our players in shape, so we will keep working for that." Atleti trained indoors on Thursday and not on their usual pitches at Majadahonda – something Simeone insisted was simply down to the condition of the grass. "It's normal that when somebody does something different from what he was doing before that causes critics or opinions, but you have to put yourselves in our place," he explained. "We can never train in this field because it's not in good conditions because all the kids train here. [UEFA] Youth League [matches] as well, so the field is not in good conditions. "Also a bit of privacy is good for us and we gave you seven years of open doors. If after seven years you don't know what we do or want then it's hard." One player who has been among the walking wounded is Diego Costa but Simeone is not ruling out the prospect of his striker recovering from an adductor issue in time to face Athletic. "Costa wants to play," he added. "I will have a chat with him to see what he thinks and I will tell him what I think and we will decide if he will be one of the 18 players tomorrow."